One of the fundamental, unique traits of the human race is the immense curiosity inherent in our drive to explore, discover and invent. It is this trait that explains the success of humans in adapting to life in extreme conditions, combatting disease, increasing our lifespan and rapidly accumulating knowledge, all the while altering our societies and changing our environment. The Weizmann Institute was established to expand the limits of science for the benefit of humanity, its foundation arising from an understanding of the fundamental impact of science as the fountainhead from which the river of progress and wellbeing flows. Curiosity-driven research is the essential link – the shared core values of the Weizmann Institute and those of ERC. This is, indeed, research that aims for the blue sky, reaching beyond visible or tangible targets. By searching for the unknown, such research leads to unforeseen discoveries on the nature of the universe, the formation and destruction of stars, the secrets of life and the causes of human disease. Since its inception, 10 years ago, the ERC program has made a truly significant impact on research in Europe, in general, and on the Weizmann Institute in particular. Today it is hard to imagine science without the ERC. 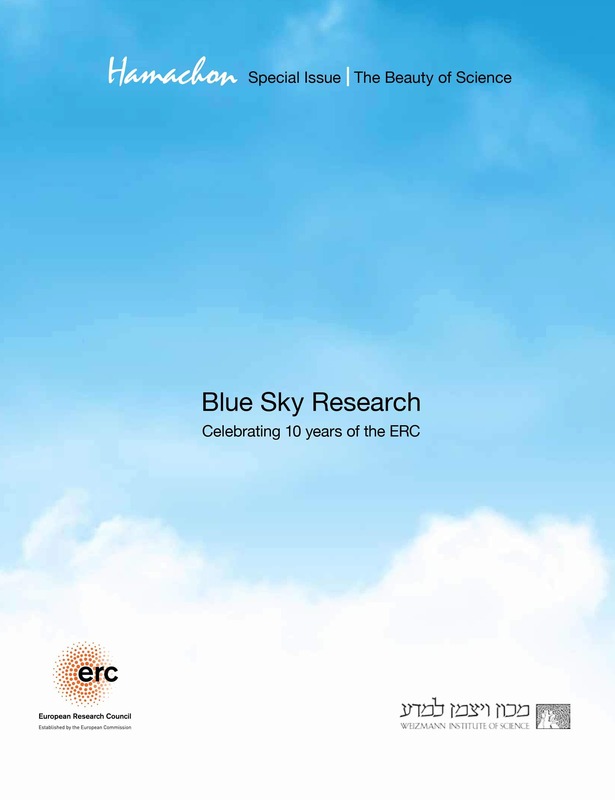 With its generous funding, the ERC has enabled 96 Weizmann scientists at all stages of their careers to take considerable risks and embark on extensive journeys that, for all of the perils, have more than once resulted in substantial rewards that would not have been attainable otherwise. History demonstrates that the pursuit of fundamental knowledge can often lead to material gains in the form of translatable ideas, discoveries and inventions that are exploited for direct human benefit. The supplementary support introduced through the ERC Proof of Concept program provides a novel model – one that we hope other funding agencies will adopt – in which the translation of discoveries is promoted, but not at the expense of the core science. On behalf of the Weizmann Institute, we congratulate the ERC for the first 10 years of outstanding support of the quest for knowledge.